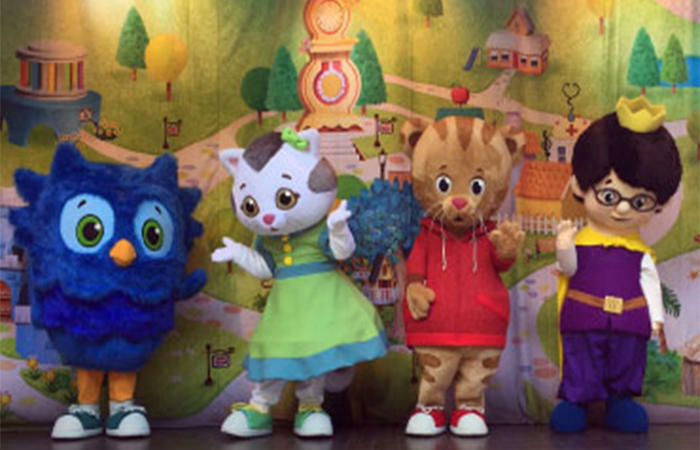 Visit Idlewild for Daniel Tiger Neighbor Days. Bring the kids to meet Daniel Tiger, Katerina Kittycat, O the Owl, Miss Elaina and Prince Wednesday from the hit PBS Kids’ television show, Daniel Tiger’s Neighborhood. Characters will appear daily at the Hillside Theater Stage.